Copy of the proposal, including description, renderings, and all the other bells and whistles here. Note that this isn’t a total teardown and replacement, but an addition onto the previous building. Perhaps the biggest change is the addition of a large, curved structure on what is current Gannett’s parking lot. The feeder road to Willard Straight will stay in place, going under the new addition, and the ambulance bays will also be located here. Note how it says Levels 1 and 2. The elevation changes allow for a partial below-grade section under the main level that connects with Ho Plaza’s walkway. 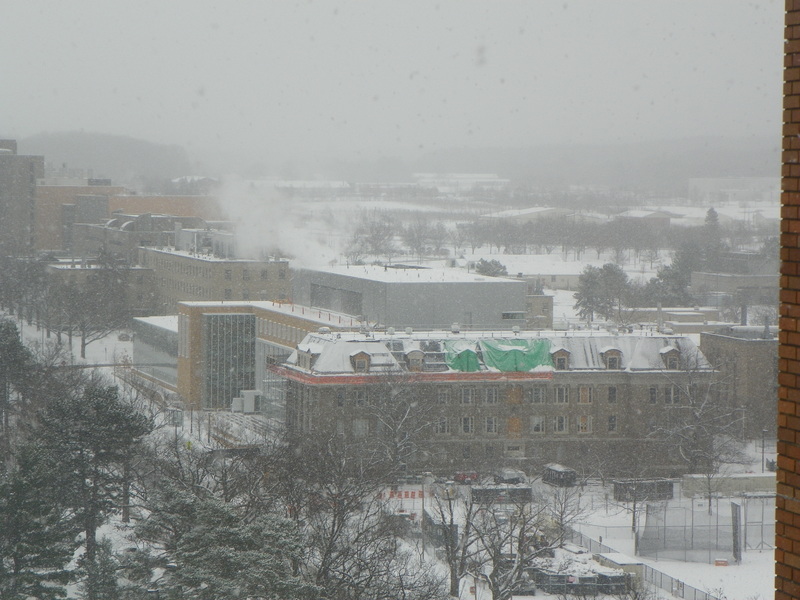 Above the road will be three levels of offices and exam rooms, with a mechanical penthouse on top of the new structure. So 4/5 floors, depending on your viewpoint. Although it looks like some of the original structure will be preserved, it gets a major facadectomy. Larger windows and and a more “contemporary” entrance will be built on the Ho Plaza side. About the only similarity to the current structure is the use of Llenroc stone for the outline. The current entrance gets replaced with a two-story addition (shown on the right), and the 70s addition also gets a revised facade (but remains mostly intact). Probably my biggest complaint is the subtle multi-hued glass panels. It looks cheesy. My armchair critic says to stick with one panel color, ideally the a neutral grey/smoke tone. Other than that, it’s standard Cornell fare for the 2010s – a hypermodern glassy box, with the use of stone to try and harmonize it with the surrounding plaza and structures. The architect of record is local architecture/alumni-filled firm Chiang O’Brien. As previously noted, the addition will add about 38,000 sq ft to Gannett, for a total of 96,000 sq ft. The projected cost is $55 million, and the target completion date is October 2017. Except when traveling in and out of Ithaca, Cornell generally plays no role in my travels. Recently, I paid a trip to the vacation destination that is Detroit, Michigan. 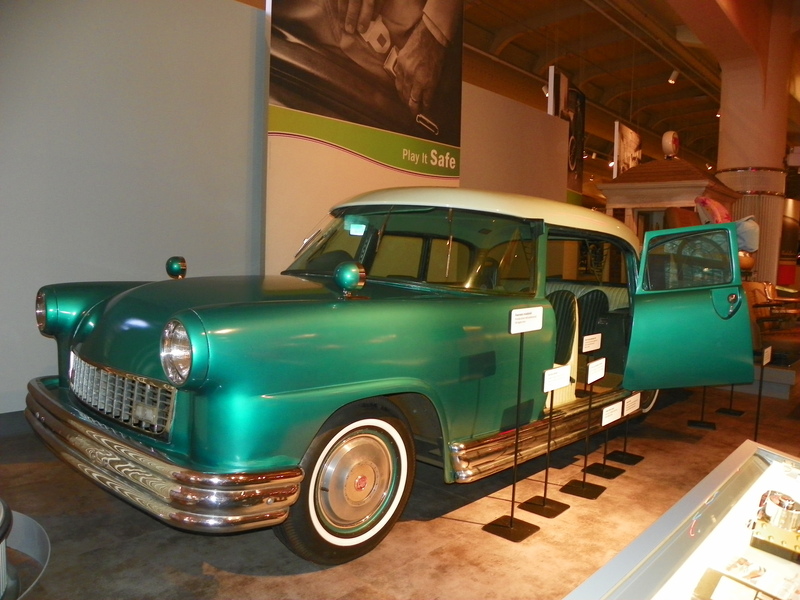 While on this trip, my hosts suggested a visit to the Henry Ford Museum in Dearborn, where we came across this. This homely piece of 1950s Americana is the Cornell Safety Car. 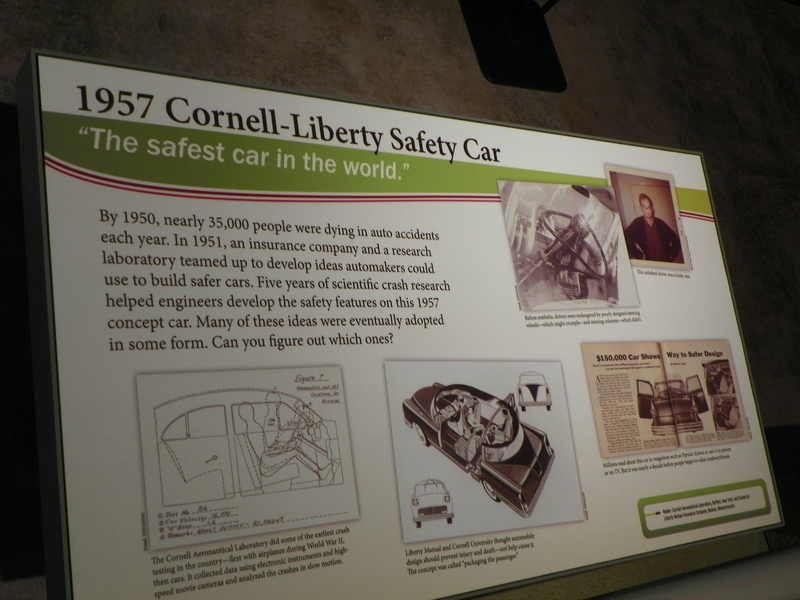 It was produced by the Automotive Crash Injury Research Center, run by John O. Moore at the Cornell Aeronautical Laboratory in Buffalo (previously briefed here), and built in 1956 with funding from Liberty Mutual Insurance. We take for granted the safety features of today’s vehicles, but in the 1950s, those glimmering bullets of metal and chrome were essentially high-speed death traps, with the number of fatalities increasing every year. Hence, a need was seen to try and improve safety for America’s road warriors. The lab was one of the first to do crash testing; first with airplanes in WWII, then with cars. Early on, before the use of realistic test dummies, Moore and his cohorts got in touch with their inner Frankensteins and used corpses, along with an array of high speed cameras and instruments to measure and analyze impact forces. Among some of the features that would later become vehicular staples – front seat headrests, wrap-around bumpers, bucket seats, and seat belts a-plenty. 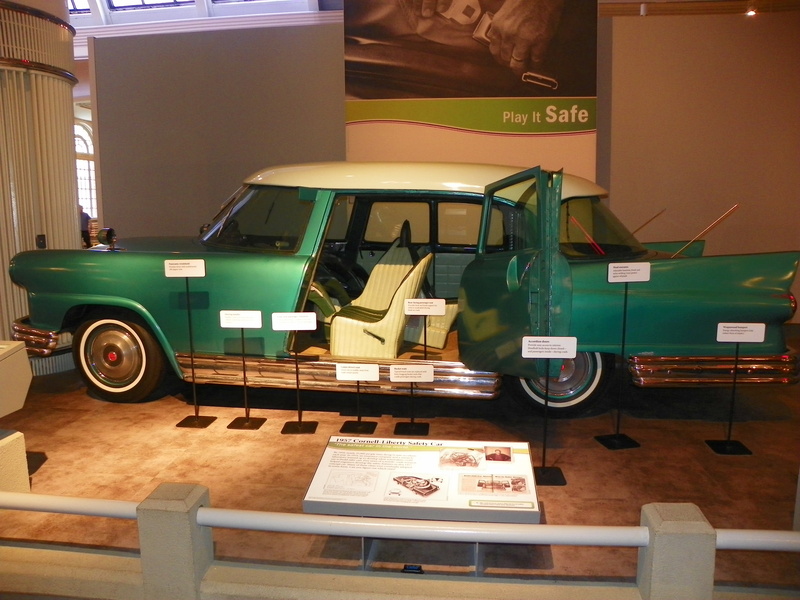 Among those that didn’t, or have faded out – rear-facing back seats, steering handles (because steering wheels collapsed and steering columns would break your heart in case of accident), panoramic windshields (a big selling point in the later ’50s and ’60s), accordion doors, a center position for the driver’s seat, and nylon webbing for rear seat head restraints. All of this encased in a perfect 1950s shade of teal, rocket fins included. 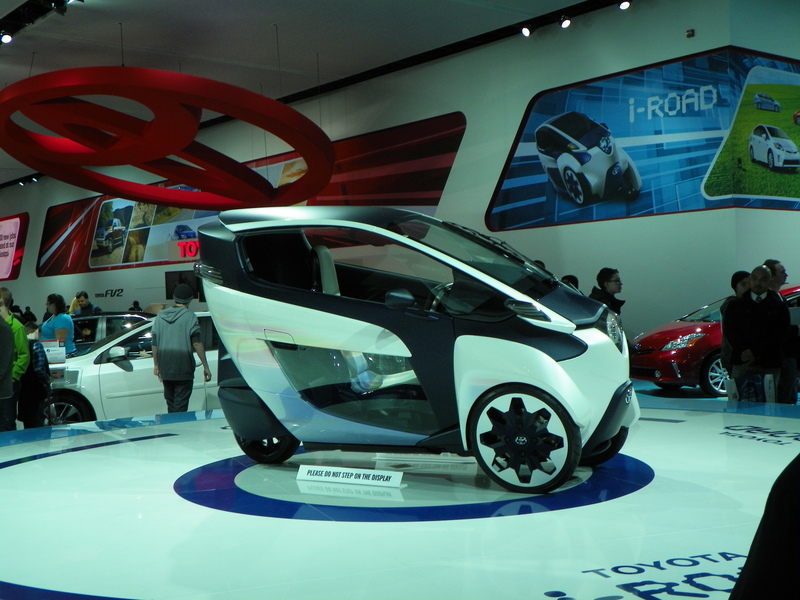 My, how concept vehicles have improved with time to become more attracti-…nope, scratch that. 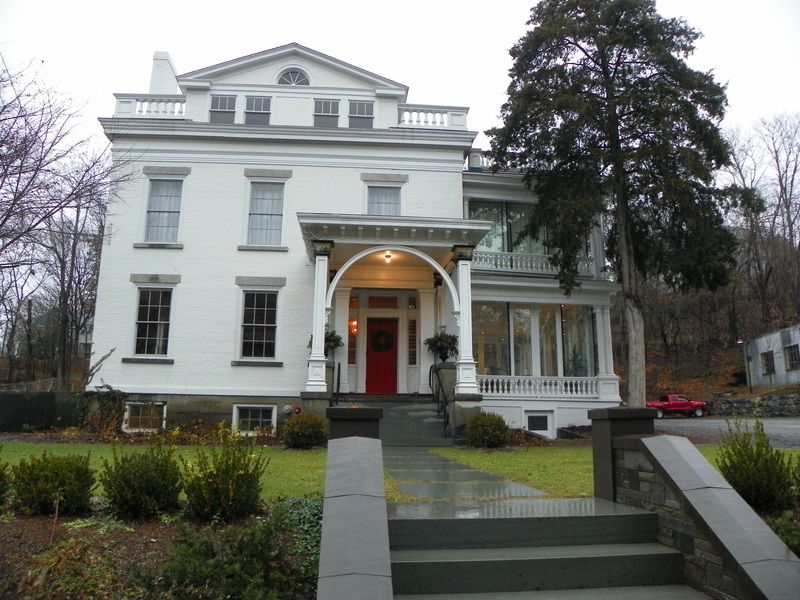 Gorgeous arts & crafts mansion steps from Cornell. Built circa 1915 with up-to-date sprinkler & fire alarm. Living room, chapter room, dining room, commercial kitchen. 13 rooms for up to 25 occupants. There is also [a] 1 bedroom cottage with a separate driveway. Approximately 18 parking spaces. The real estate listing uses the same photo from the rentals website, so this is indeed the same house (the listing agent is Edelman Real Estate’s John O’Connor, who by my guess is likely associated with the family-run O’Connor Apartments). If interested, this house could also be yours for a cool $1.35 million (Ex-Ithacan take note). Taking a stab in the dark, my assumption is that the current owners have finally given up the ghost, and no longer want to be responsible for the property and its taxes. Notably, this isn’t the first time the house has been on the market, but in summer 2009, it was only asking for $795,000. The house waited until January 2010 for a sale to be finalized. Whether it ends up a private home, home to another GLO, or yet another parcel owned by Cornell, remains to be seen. If 210 Thurston was any indicator, this one could be on the market for a while. Around and around and around she goes, where she ends up, nobody knows. When Cornell celebrated its centennial in 1965, there was a week-long series of lectures, many congratulatory letters, and in proof that some things never change, plenty of solicitations to alumni to donate to the $73.2 million donation campaign (the commemorative Sun issue shows a different angle of the same 1960s era campus plan on page 20 that I featured on the blog a few years ago). Offhand, I’m not aware of anything was built in the name of the anniversary, but I guess for its 150th, Cornell has decided to give itself something for the occasion. 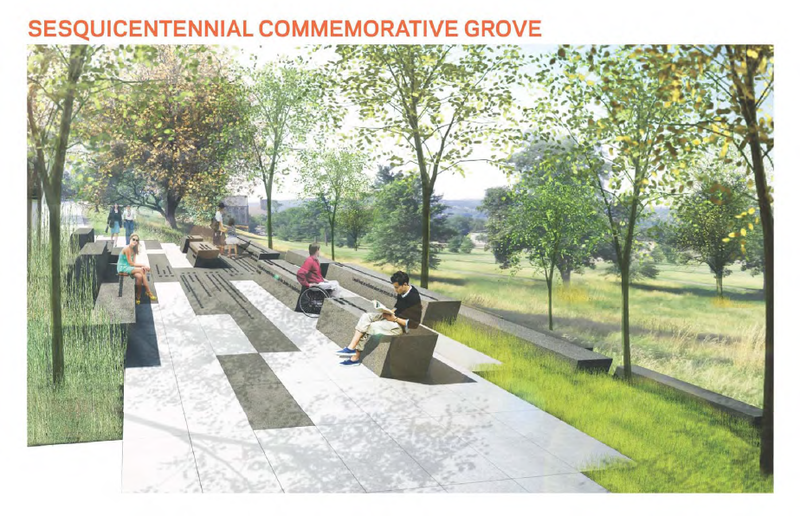 The project is a landscaped area, with the working name being the overly long “Cornell Sesquicentennial Commemorative Grove”. 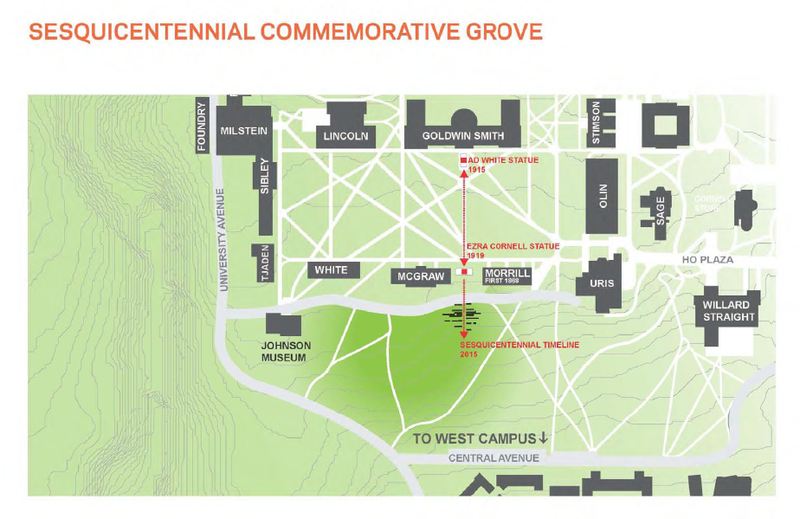 Taking full advantage of symbolism, the grove is strategically cited directly west and downslope of the statues of Ezra Cornell and A.D. White on the Arts Quad. 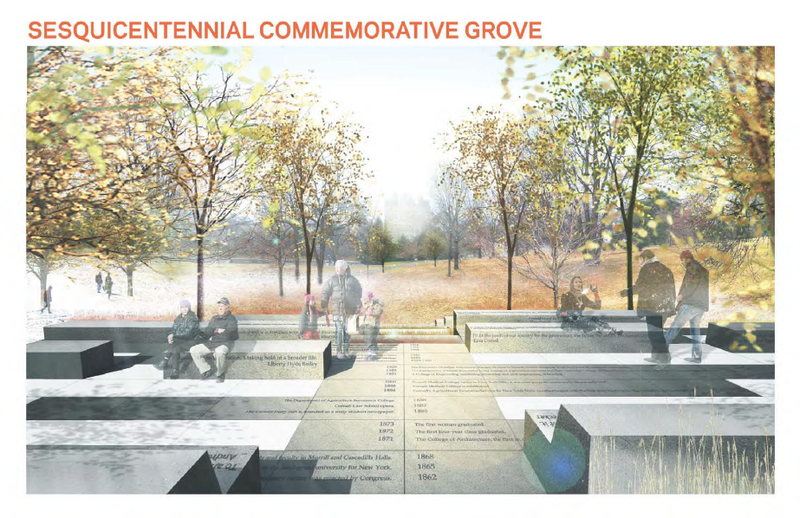 The project itself, which as been briefed previously over at Ithaca Builds, consists of stone benches inscribed with quotes by famous Cornellians, pavers will with a timeline of significant events in Cornell history, and a sort of mood lighting by rigging fixtures into the trees. The overall size of the installation is about 1,700 sq ft. 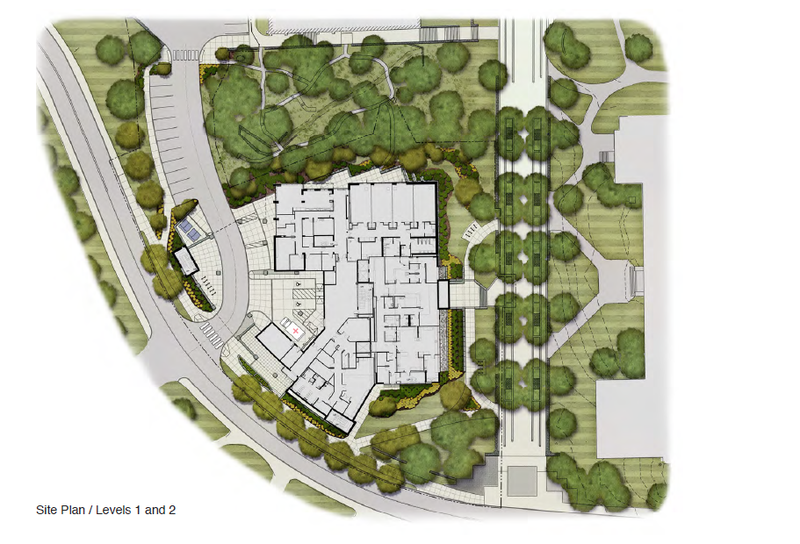 The architects of this plan are campus favorites Weiss/Manfredi, the same people doing the Co-Location building at the Tech Campus, and the renovations and additions to the vet school. I imagine Cornell would like this project done in time for Alumni Weekend 2015, which would also mark my first true Cornell reunion (5-year). A full rundown is available here, but it reads like one long advertisement for the university. On the bright side, at least the university’s landscaped spaces then to look more visually pleasing than its constructions. I have hogh hopes for this one, it could be a nice place to spend a June evening. Full disclaimer: I’ve never been a fan of the tech campus. I’ve also never been a fan of Morphosis/Thom Mayne’s work. New York is a different creature when it comes to approvals. This isn’t Ithaca, where many folks feel that Cornell’s large presence makes the local community behooved to approve whatever the university wants to build. Here, people tend to be a lot more vocal, and perhaps a lot more negative. Folks in New York are especially wary of Thom Mayne because of his involvement with the 41 Cooper Square project, a building that has been seen as one of the underlying causes of the financial crisis experienced by local college Cooper Union, which has led to an end of their famous “free tuition” policy. 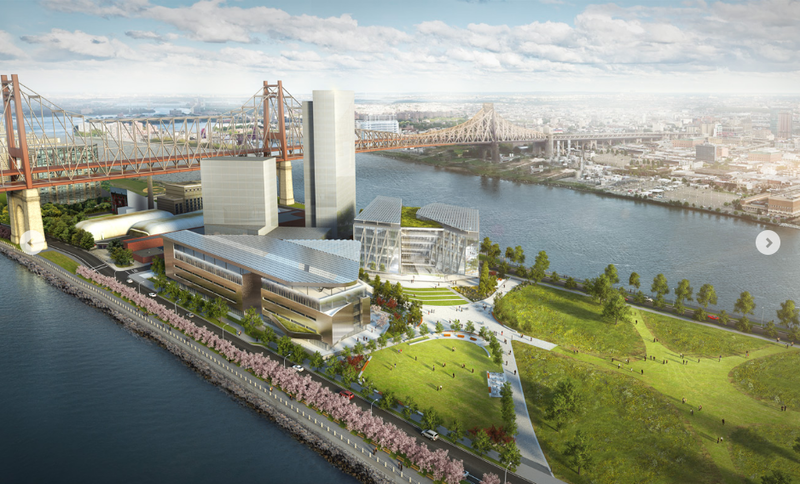 Last month, Cornell revealed the first phase of the tech campus, which Curbed NY has covered in extensive detail. The first phase has three components; 1) a 150,000 sq ft, 4-story building designed by Thom Mayne (the building lower left; the roof is covered with solar panels, or what Thom Mayne calls a “lily pad”) 2) A six-story, 200,000 sq ft “Colocation Building”, which is designed for corporate and school interaction. This is the building to the right, and is designed by another Cornell favorite, Weiss/Manfredi Architects, and 3) The residential building, represented by the tall featureless box. A design has not been finalized, but is being handled by developer Hudson Companies, in conjunction with Handel Architects. This build will house about 350 units, with larger units for faculty. Construction for the residential tower is proposed for a 2015 start. 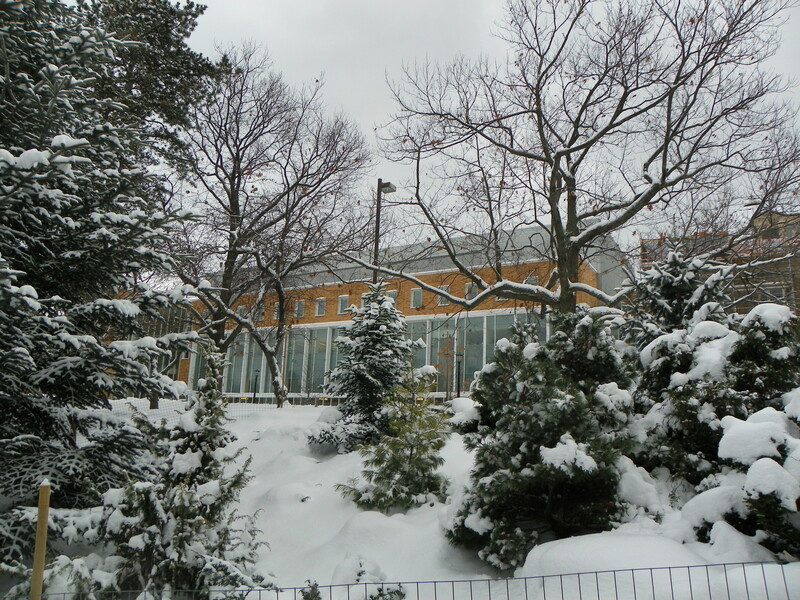 The campus is wrapped in green space by architect James Corner, who designed a campus without walls and to invite the public to check the school out, and all of this using an Skidmore, Owings and Merrill master plan. Community groups are difficult to please, however. 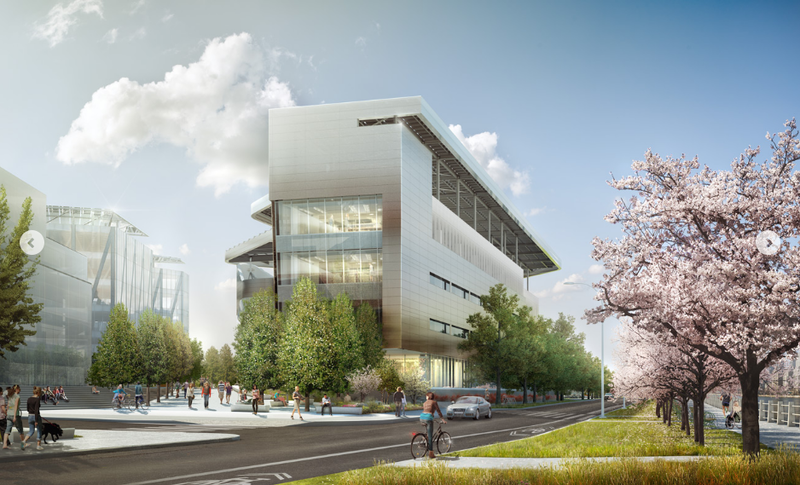 Although the net zero energy aspect was pleasing, complaints were raised about the large loss of trees, a lack of equipment for the hearing-impaired in the new academic building, and a lack of cohesiveness as the result of so many starchitects trying to compete with each other for attention. 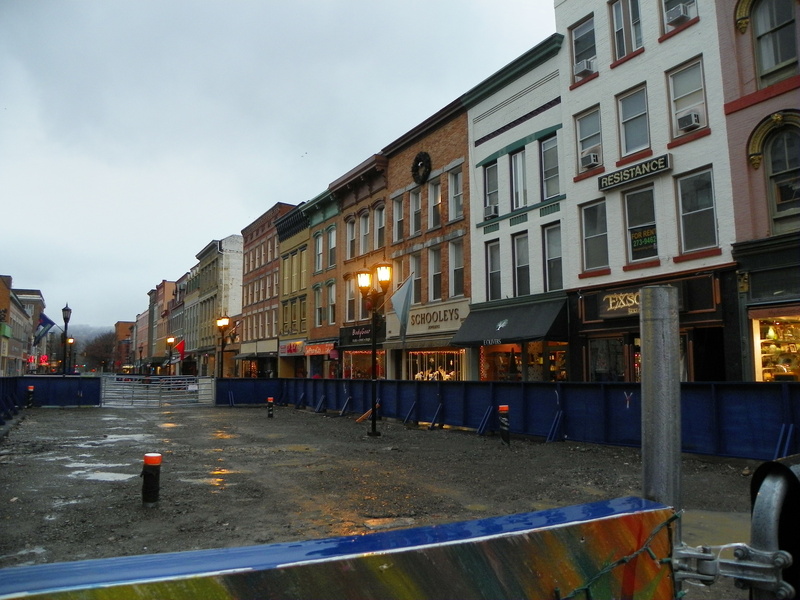 Regardless of the complaints, construction is supposed to be underway starting this month. 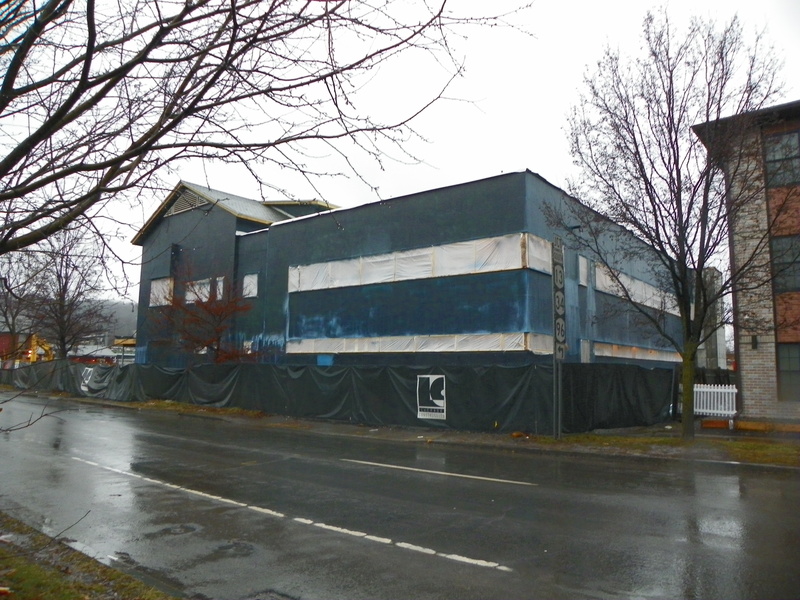 New York and Bloomberg have previously stipulated that the first building must be open by 2017, or Cornell will face major penalties. 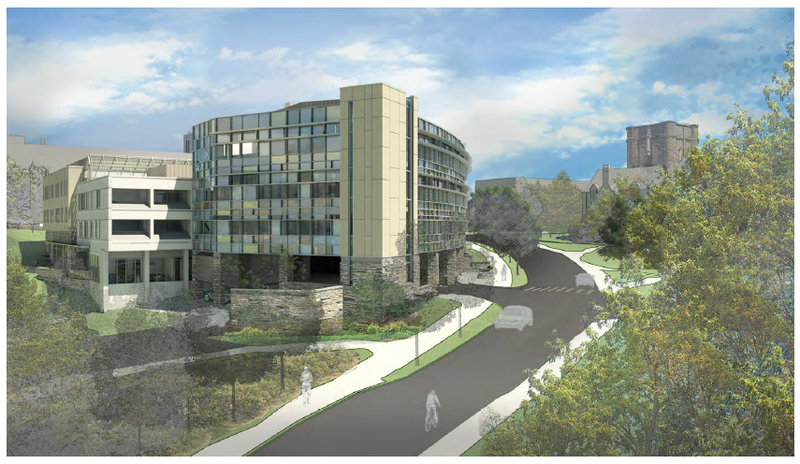 On the bright side, Cornell’s getting crap tons of money thrown at its New York investments. Following Chuck Fenney ’56’s $350 million donation to the tech campus, former Qualcomm Chairman Irwin Jacobs ’56 gave a $133 million donation last April, and total donations to the tech campus exceed $500 million. Weill Cornell has not been left out by all this tech campus attention; they were the recent recipients of a $75 million donation for cancer research, courtesy of former CEO of Grey Global Group Edward Mayer ’48 and his family. After forever and a day, the Argos Inn is finally open, and the “Bar Argos” watering hole opens to the public January 17th. The high-end boutique hotel offers 10 choices of rooms to the deep-pocketed visitor. Apart from some underground telecommunications that still need to be tweaked, phase II of the Commons renovation, the utility rehabilitation and replacement, is complete. Surface improvements (i.e. the pretty things) will begin this spring, or sooner if the rest of the winter turns fairly mild (not likely). 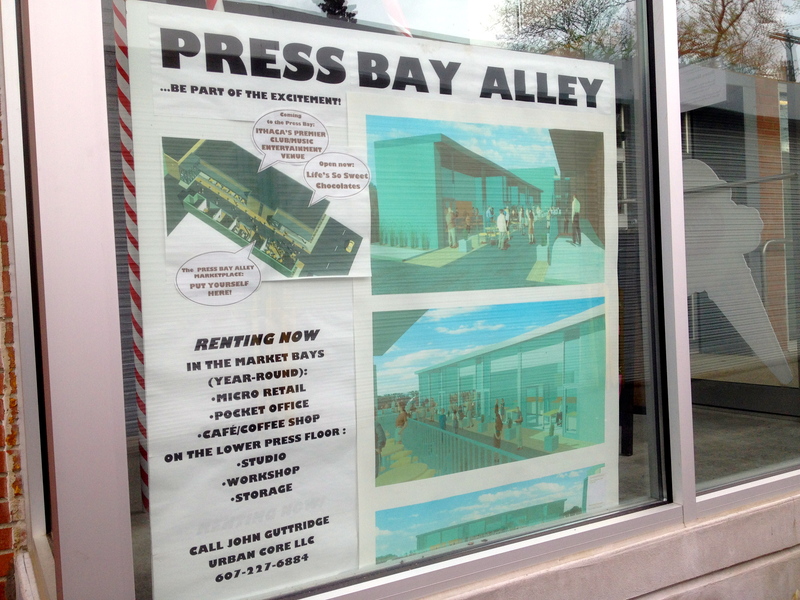 Press Bay Alley. It’s a project I’ve never really covered on this blog, but Jason’s kept a watchful eye on over at Ithaca Builds. What we have here is a rather unusual concept, urban micro-retail, which is becoming popular as a form of urban infill in larger walkable communities. The recent renovated space right across the alley has an “entertainment venue” proposed, which would complement retail well. It’s a great idea as a sort of micro-business incubator; if a retailer’s concept works out, hopefully the retailer will move to a larger space within the community. 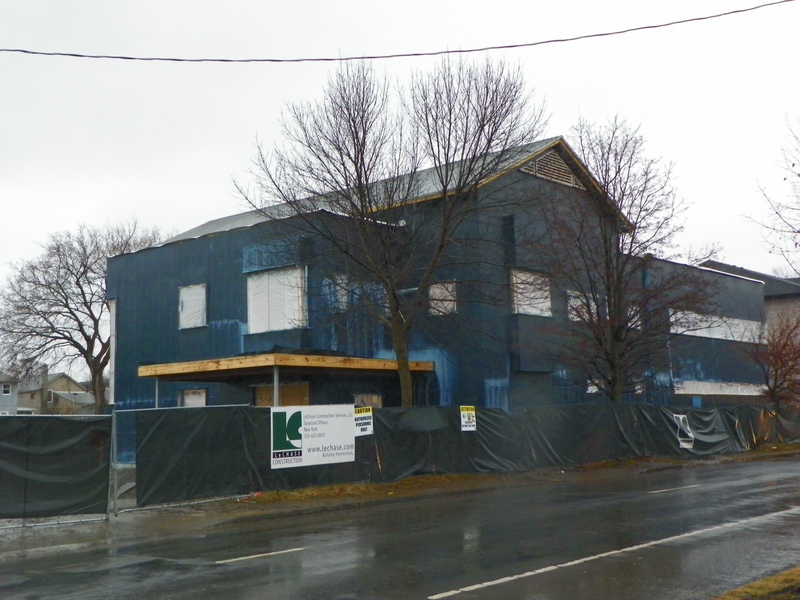 Sheathing and waterproofing are complete at Planned Parenthood’s new 16,000 sq ft location (not 18,000 as I initially wrote last year), located northwest of downtown on West Seneca Street near Meadow. Windows have yet to be installed, (as of December 30th), but I would say they’re not far off. 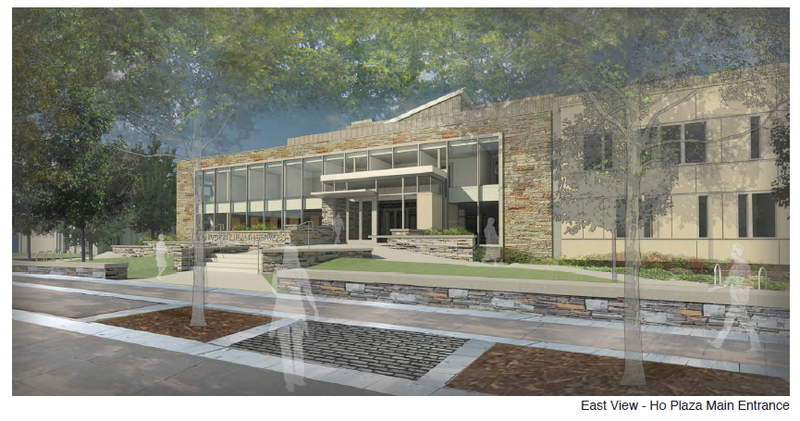 Planned Parenthood hopes to have the $6.12 million building completed by May 2014. This photo is probably timed similarly to Jason’s over at Ithaca Builds. 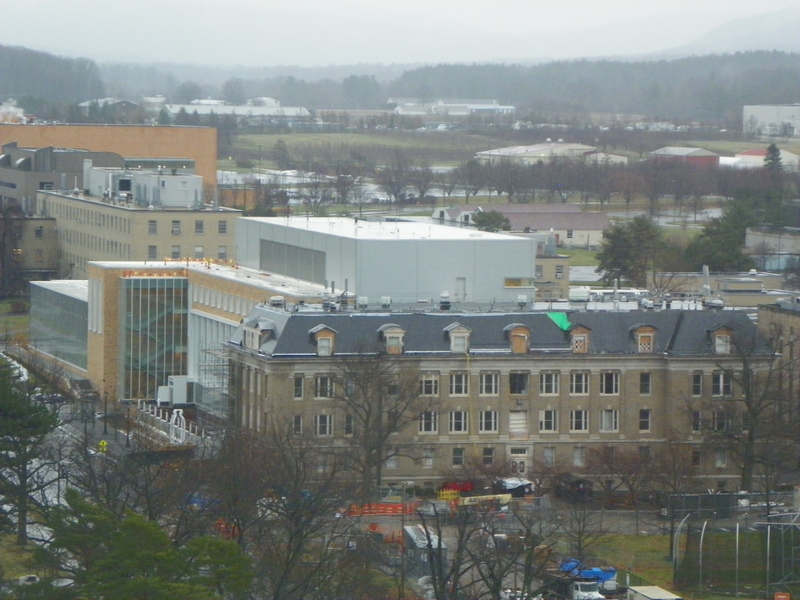 Consistent with his analysis, a little bit of scaffolding visible in this image gives indication of the roof work being done to Goldwin Smith, and underground work over east Avenue is closed up, if temporarily. 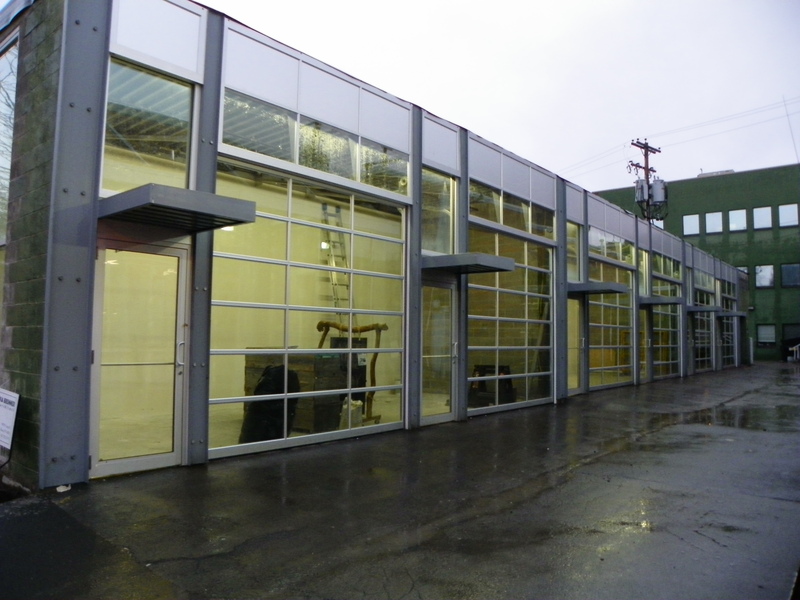 The $61 million dollar token glassy box adds 33,250 sq ft of new usable space. 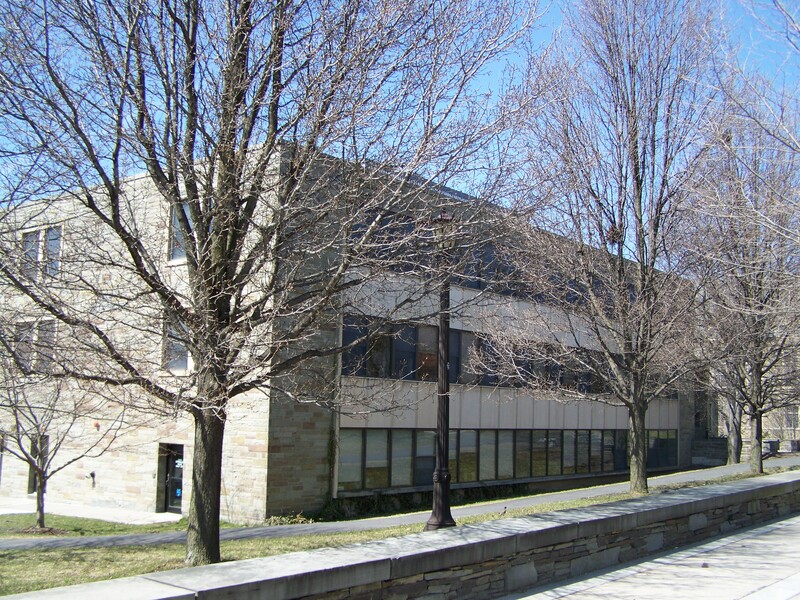 Note for Cornell visitors – from this Wednesday (Jan 8th) to April 19th, 2015, the southbound lane of East Avenue will be closed to facilitate construction of Klarman Hall. I’d get around to feeling sympathetic, but I had the Thurston Ave. bridge detour my freshman year, and then years of Milstein, so…eh. Deal with it. The time difference between photos 1/2 and 3 is about 15 days. 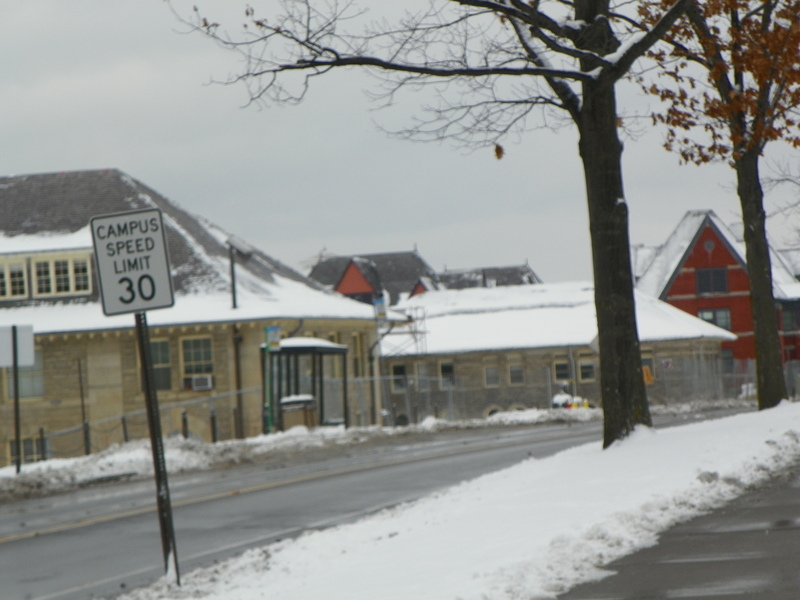 I just happened to pass through Ithaca twice in December, for two separate events (the first one though, I was only able to take photos on Cornell campus). I doubt I’ll be as lucky in the next few months. Phase 2 of the renovation project started several months ago with a focus on getting as much of the slate roof replaced as possible before winter. I think they were able to get about 70% of Stocking re-roofed. Asbestos abatement was the first part of the inside work. Once a floor was abated, Pike [construction company] worked on demolishing all interior walls. Last Thursday (1/2/14) an independent testing agency certified the air test was safe after the abatement was completed on all floors. We took our first look on Friday. The basement has been gutted, the first floor has undergone asbestos abatement and will begin demo shortly, the second and fourth floors have been gutted, and the third floor isn’t far along, still in the initial teardown/salvage stage. The renovation of old Stocking is due to be complete in August 2014.